Lieutenant General David E. Grange, Jr., is inducted into the Ranger Hall of Fame for his dedication to duty and contributions to the U.S. Army as a Ranger qualified leader. Lieutenant General Grange is a veteran of 20 campaigns in three wars as an infantryman and served with distinction throughout in the U.S. Army. He enlisted in the Army in June of 1942, and served as a parachute infantryman in Europe, taking part in the Rome-Arno, Southern France, Rhineland, Ardennes, and Central Europe campaigns of World War II. 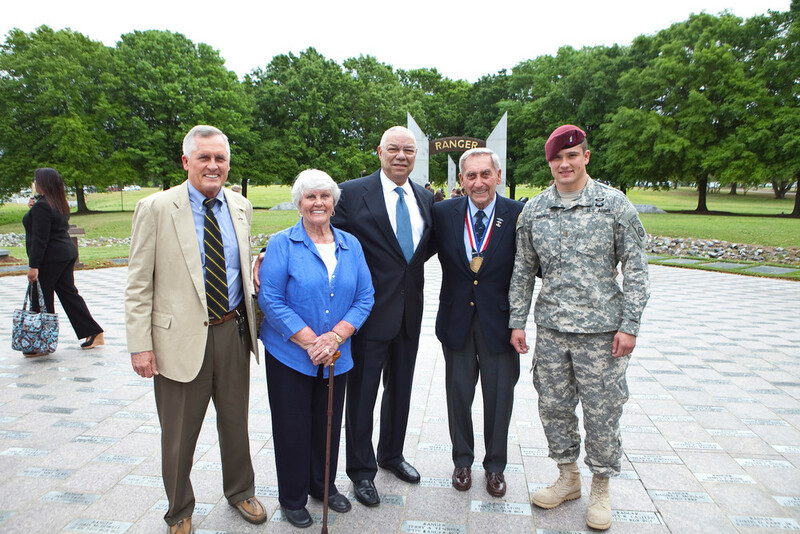 Lieutenant General Grange was commissioned a Second Lieutenant of Infantry in 1950 and served in Korea with the 187th Airborne Infantry Regiment. He served his first tour of duty in Vietnam in 1963 as an Airborne/Ranger/infantry Advisor to the Department of Defense's Research and Development Field Unit. In 1967 he commanded the 2nd Battalion (Airborne), 506th Infantry, 101st Airborne Division in Vietnam. He returned to Vietnam for his third tour in 1970 where he commanded the 101st Support Command and the 3rd Brigade, 101st Airborne Division. He served as Director of the Ranger Department, and later commanded the 2nd Infantry Division, the U.S. Army Infantry Center, and the 6th U.S. Army. Lieutenant General Grange's service to the nation as a soldier, leader. and U.S. Army Ranger reflects his intense dedication and motivation.